Time To Save some LIVES! Summer is a tough time for the Red Cross. People are on vacation, and just don’t take the time to make appointments to donate blood and platelets. I am not able to donation, but Richard has received several phone calls and e-mails looking for him to make an appointment to donate. On Monday, he did make one for Tuesday. That evening he got a call ! He explained that he had JUST made the appointment that morning! While Alexander was in treatment, he received over 100 transfusions! Blood, Platelets, Plasma! So many different things. 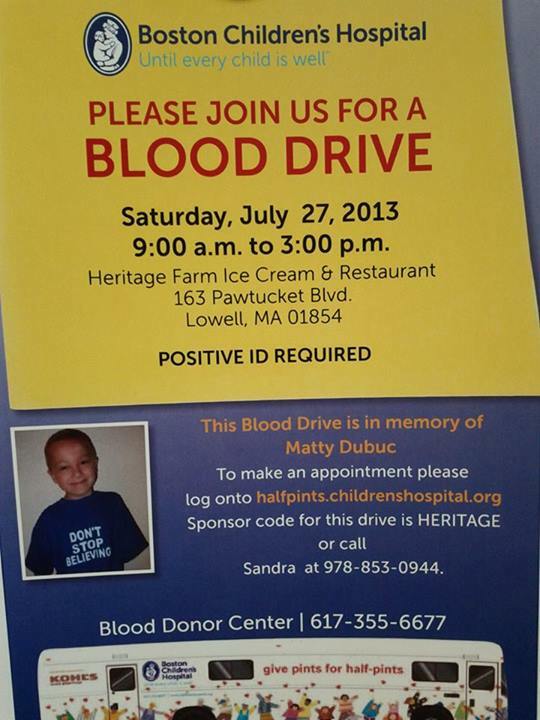 It is not just people fighting STUPID cancer that need blood. People in Accidents, having surgery, etc. There is ALWAYS a need!! One of his surgeries had to be delayed because of shortage of platelets. Richard wrote to the news stations, and Alexander got to be a STAR! I have heard some people say “I won’t donate at the Red Cross because they SELL their blood to hospitals”. Well, that is just not true! Yes, they may charge a fee, but it is not for the blood, rather the time and money that it takes to obtain the blood and make sure it is SAFE! Does the Red Cross sell blood? No. There is never a fee for the blood itself. The Red Cross charges for expenses incurred in recruiting and educating donors, keeping accurate donor records, collecting blood by trained staff, processing and testing blood in a state of the art laboratory, and storing and distributing blood. Some people had asked if they could direct their donations TO Alexander. Our hospital did not have any program like that, and we were told it wasn’t wise anyways, because if down the road he needed a donor bone marrow transplant, if the person donating the blood was a match, it could affect the bone marrow donation (I don’t know why – it is just what they told us!) I follow one young girl that is fighting cancer and has a large following. She is currently in need of constant platelet donations. A lot of people want to help, but it seem like they only want to help HER. That just makes me so mad! They are willing to help this one girl – a stranger, but they don’t seem to want to help OTHERS! You never know WHO you are going to help when you donate blood, but you can be sure that no matter what you are SAVING LIVES!!! There are always drives going on! I have put two local ones at the end of this post. Both are in memory of children that have died of STUPID cancer. 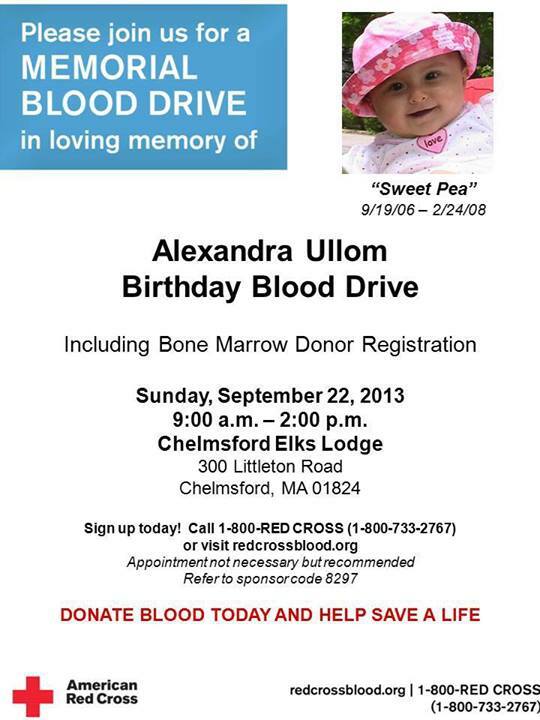 You can also go to http://www.redcrossblood.org/ to find a drive near you. If you are like me, and are unable to donate, then please consider being a volunteer at a local drive, spreading the word, or maybe baking some treats for a local drive. (or bring packs of Oreo’s – the Red Cross has an in with the Keebler Elf, so they didn’t have any Oreo’s at the location Richard went to! You have the power to SAVE lives! Please consider helping!